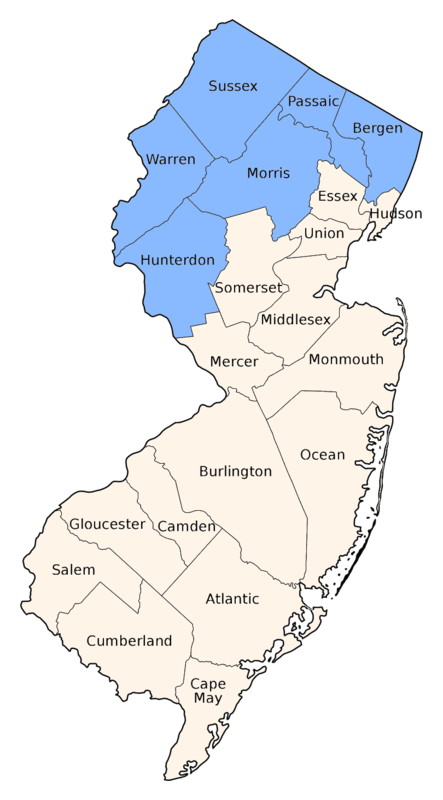 Has been reported locally from the counties in the northwest. 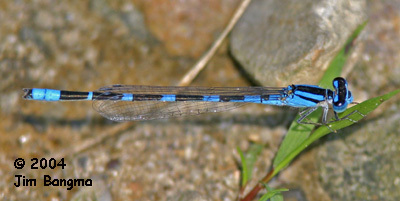 A medium sized bluet with a blue and black abdomen, usually with more black than blue. 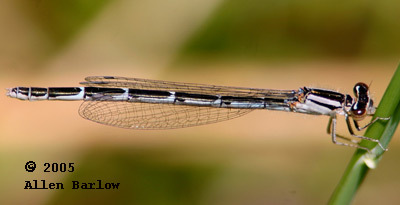 The black humeral stripes are about 1/2 the width of the blue antehumerals. The postocular spots are small and triangular, separated by a thin occiptial bar. 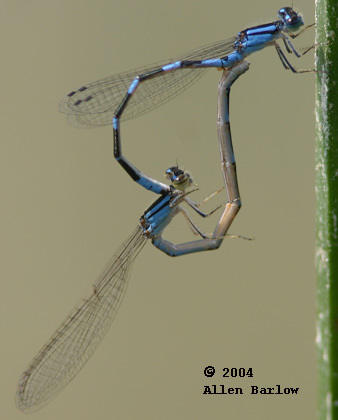 Compare with Familiar Bluet and Azure Bluet.